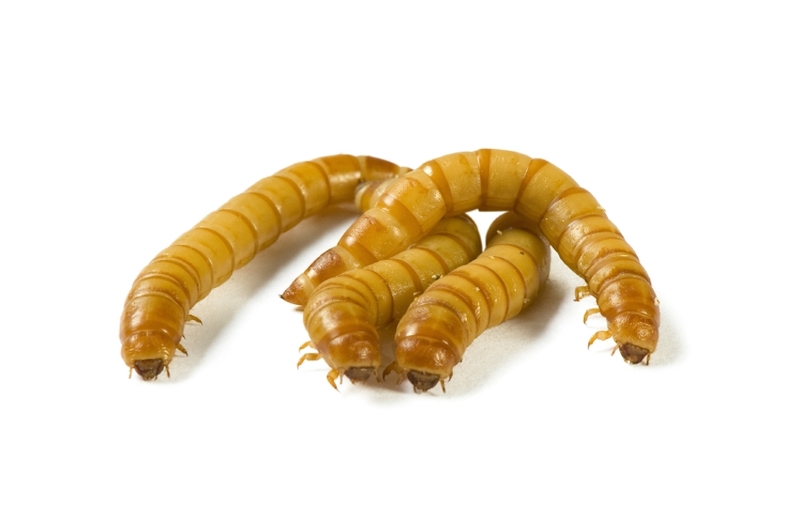 Large mealworms (Tenebrio molitor) are approximately 1 Inch in length. They are a great protein source for birds, reptile and amphibians. When kept between 40-50 degrees, mealworms will last for about 30 days.